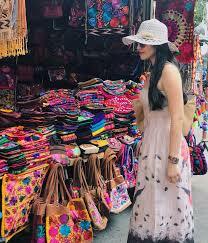 From stalls to malls, from haute couture to swimsuits and sarongs, sun glasses to wine goblets, arts and crafts and even a Cuban cigar or two, Puerto Vallarta and the entire Bay of Banderas is a shopping lovers, bargain hunters, shop till you drop kaleidoscope of colors, textures and taste. Every town around the Bay has an authentic market full of local treasures, great music and incredible edibles. Mexico is a land of artisans who turn silver into magic, beads into sculpture, agave into tequila and simple strings into hammocks that could be hung as art instead of between two palm trees. And once you’ve done the stalls and you’re looking for the malls, Puerto Vallarta has some great ones like La Isla and The Galeria Vallarta with everything from the Apple Store to high-fashion Zapaterias selling the latest Jimmy Choo’s. We’ve even got Wal-Mart and Costco. With the peso at around 20 to the USD, you might just step into a deal as well as a great meal and first-run movie theaters with food and drink service, reclining seats and amazing sound. You’ll also find high-end supermarkets, with all your favorite brands, fresh fish, actual butchers and pharmacies with bargain prices. You can use your credit and debit cards from Canadian and U.S. banks at many places and ATM’s are everywhere. But it’s not just the shops around the Bay and in Puerto Vallarta that make shopping such a pleasure, it’s the warm and welcoming shopkeepers who work so hard to make you happy. And then, when the day is done and your totes are full, there’s that spectacular beach and a frosty whatever or two to celebrate another great day in paradise.